We had black-eyed peas two way on New Year's Day. And neither was Hoppin' John, if you can believe that. I almost can't believe it myself. But I wanted to go a different route this year. For lunch, we had little pot pies that had ham and collards along with the black-eyed peas (much like HJ, actually)... and a white cornbread crust. That one is coming your way soon. The other way we had 'em was in a dip. A fairly unimpressive looking dip. But the taste? Oh, it was impressive. And nobody stopped scooping until the dish was scraped clean. 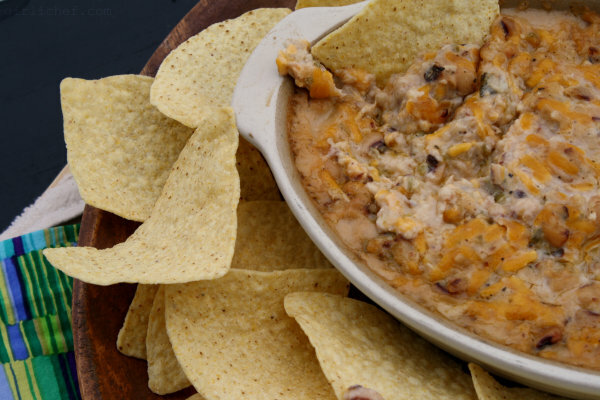 Now, this isn't one of those ooey-gooey-oooh-and-aaah-at-the-site-of-glorious-cheese-ribbon dips. 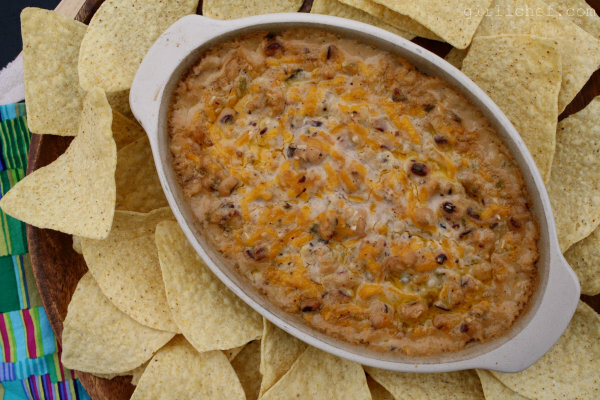 It is a humble bean dip. Easily overlooked next to its fromagey neighbors. Just remember not to judge a book by its cover, okay? That was one of the most valuable lessons my mama life has taught me. While the stuff on the outside attracts your attention more easily, it's the stuff on the inside that you fall in love with. 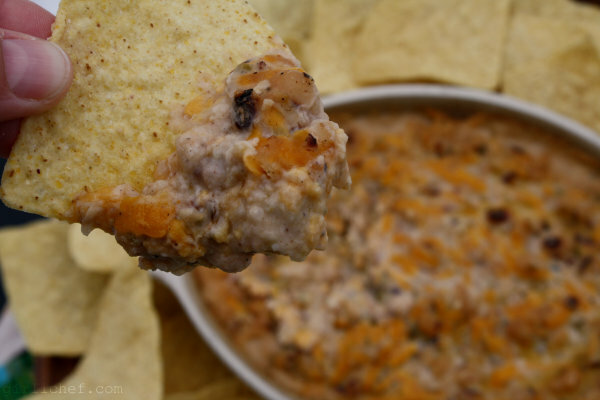 Now hurry up and go get acquainted with this Black-Eyed Pea Dip. Get lucky even after January 1st. Place about ⅔ of the black-eyed peas into a medium-sized bowl and mash. Add the remaining whole beans to the bowl along with all of the other ingredients and mix well. Dump the whole thing into a small baking dish that has been sprayed with non-stick spray. Slide into preheated oven and bake for ~30 minutes, or until hot and bubbling around the edges.